William Chaney later denied he was the boy's father. In May 1897 Chaney told Jack "I was never married to Flora Wellman but she lived with me from June 11, 1874, until June 3, 1875. I was impotent at that time, the result of hardship, privation, and too much brain work. Therefore I cannot be your father, nor am I sure who your father is." (2) The birth of "nearly killed" his mother and for the first eight months he was brought up by a wet-nurse, a local black woman, Virginia Prentiss. The family moved to Oakland where John London acquired a couple of acres and started a market garden. 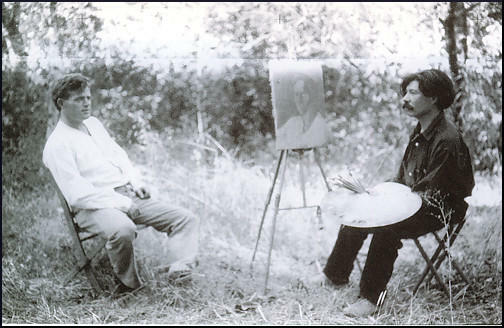 He was very successful with this venture and he later moved to a larger property in San Mateo County. His success as a smallholder continued and eventually he purchased an eighty-seven-acre ranch in Livermore. It was a happy period in Jack's life and enjoyed being a hard-working farm-boy. However, he was devastated in 1884, when sixteen-year old Eliza, eloped with a man old enough to be her father. A few months later an epidemic killed off London's chickens. Other economic setbacks meant that London could not pay his mortgage repayments and the family was forced to return to Oakland. While drinking in Johnny Heinold's saloon London heard about the large sums people could make by becoming oyster pirates. These men stole from private beds and sold the oysters for enormous profits. He borrowed $300 and purchased a sloop, the Razzle Dazzle. One night's work could earn London $25, far more than he would have earned in a month at Hickmott's Cannery. However, as Alex Kershaw, the author of Jack London: A Life (1997), has pointed out: "The reality of Jack's new profession was that death always stalked close by. Every night, he had to navigate without lights, his oarlocks muffled in case he alerted armed guards protecting the oyster beds. Often, his only guidance was gunfire lighting up the sky. Life was even cheaper on San Francisco's Barbary Coast and Oakland's estuary, where Jack spent afternoons drinking before the night's adventure, and where his associates thoght nothing of stabbing a man in the back for a sack of rotting shellfish." (7) His three months of making good money came to an end when his sloop was destroyed by fire. London had a great love of books and he decided that he would now spend more time in Oakland Library. His reading included books by Rudyard Kipling, Gustave Flaubert, Leo Tolstoy and Herman Melville. London also began writing short-stories. When the San Francisco Morning Call announced a competition for young writers, the 17 year old London submitted Typhoon off the Coast of Japan. It won first prize of $25, with second and third prizes going to men in their early twenties studying at the University of California and at Stanford University. London was also developing an interest in politics. He read about Eugene Debs being imprisoned for leading a rail-workers' strike in Chicago. He decided to join a march on Washington led by Jacob S. Coxley. The plan was to demand that Congress allocate funds to create jobs for the unemployed. In Oakland a young printer, Charles T. Kelly, assembled a detachment of two thousand men who would travel to the capital in box-cars provided free of charge by railroad companies anxious to shunt them east and thereby rid the region of potential trouble-makers. When the men reached Des Moines, Iowa, the railroad company decided the journey had come to an end. London eventually jumped onto a freight train headed for Niagara Falls. However, soon after arriving he was arrested and charged with vagrancy. Found guilty he was sentenced to thirty days hard labour and taken to Erie County Penitentiary. London was shocked by life in the prison. He later wrote that the prison was "filled with the ruck and the filth, the scum and the dregs of society - hereditary inefficients, degenerates, wrecks, lunatics, addled intelligences, epileptics, monsters, weaklings, in short a very nightmare of humanity." London also read Looking Backward, a novel written by Edward Bellamy. Published in 1888 and set in Boston, the book's hero, Julian West, falls into a hypnotic sleep and wakes in the year 2000, to find he is living in a socialist utopia where people co-operate rather than compete. The novel was highly successful and sold over 1,000,000 copies. It was the third largest bestseller of its time, after Uncle Tom's Cabin and Ben-Hur and it is claimed that the book converted a large number of people to socialism. In July, 1897, Jack London read of gold being found in the Klondike region of the Yukon in north-western Canada. This created a "stampede of prospectors". London approached local newspapers with the idea of reporting on the Klondike Gold Rush. The idea was rejected but London was determined to go and after borrowing money from step-sister Eliza, he began making preparations to leave university. However, his first stories that he produced were rejected by magazine publishers. It took him six months before the highly regarded Overland Monthly, accepted the first of Jack London's Klondike stories, To The Man on Trail. This was followed by The White Silence that appeared in the February 1899 edition. It received a great reviews and established London was one of the country's most promising writers. George Hamlin Fitch, literary critic of the San Francisco Chronicle, concluded: "I would rather have written The White Silence than anything that has appeared in fiction in the last ten years." (20) London was very disappointed that the magazine only paid him $7.50 for the story. London now sent his short-stories to Atlantic Monthly, the most important literary magazine in New York City. In January 1900 they paid him $120 for An Odyssey of the North. This brought him to the attention of the publishers Houghton Mifflin, who suggested the idea of collecting his Alaska tales in book form. The result was The Son of the Wolf, which appeared in April 1900. Cornelia Atwood Pratt gave the book a great review: "His work is as discriminating as it is powerful. It has grace as well as terseness, and it makes the reader hopeful that the days of the giants are not yet gone by." 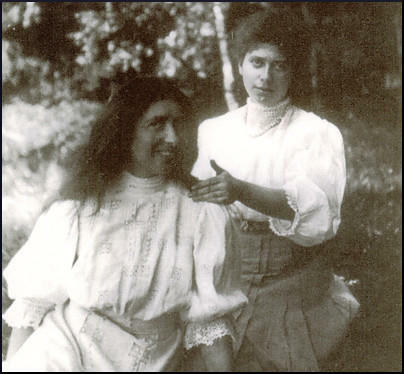 In December 1899 London met the 20 year-old Anna Strunsky. A mutual friend, Joseph Noel, described her as "a pretty little ingenue who played the part of a Stanford University intellectual to perfection. She had soft brown eyes, a kindly smile and a throaty little voice that did things to your spine." (23) She later recalled: "Objectively, I confronted a young man of about twenty-two, and saw a pale face illumined by large, blue eyes fringed with dark lashes, and a beautiful mouth which, opening in its ready laugh, revealed an absence of front teeth, adding to the boyishness of his appearance. The brow, the nose, the contour of the cheeks, the massive throat, were Greek. His form gave an impression of grace and athletic strength, though he was a little under the American, or rather Californian, average in height. He was dressed in gray, and was wearing the soft white shirt and collar which he had already adopted." Jack was in love with Anna but did not feel she was the right woman to marry. It has been claimed by one biographer that London divided women into two groups. They were either "wonderful and unmoral and filled with life to the brim", or offering the promise of being "the perfect mother, made pre-eminently to know the clasp of the child". Another biographer, Rose Wilder Lane, claimed he wanted a mother to "seven sturdy Anglo-Saxon sons". (25) Jack knew such a woman, Bessie Maddern, like Strunsky, a member of the Socialist Labor Party. The journalist, Joseph Noel, described Bess was "slender and, no doubt because she had her hair in the Pompadour mode, looked nearly as tall as Jack. Her face, strong, well-modelled, was enhanced by grey eyes fringed by chorus-girl lashes. When she smiled she was at her best. The surroundings were brightened." 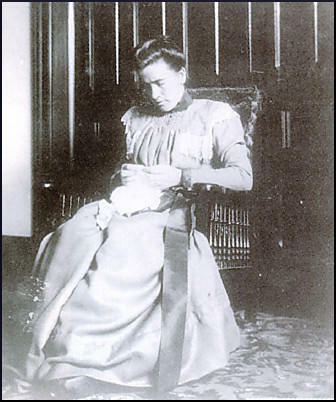 (26) Although he told Bessie he did not love her, he married her on 7th April 1900. After a brief honeymoon, husband and wife moved into a large house at 1130 East Fifteenth Street in Oakland. In 1901 he agreed to exploit his growing fame by becoming the socialist candidate for Mayor of Oakland.The San Francisco Evening Post reported on 26th January, 1901: "Jack London is announced as a candidate for Mayor of Oakland... I don't know what a socialist is, but if it is anything like some of Jack London's stories, it must be something awful. I understand that as soon as Jack London is elected Mayor of Oakland by the Social Democrats the name of the place will be changed. The Social Democrats, however, have not yet decided whether they will call it London or Jacktown." (29) London received just 246 votes (the winning candidate obtained 2,548). However, he was happy that he was able to bring the principles of socialism to a wider audience. Despite these complaints, London was pleased with the book. He told to his friend, Leon Weilskov: "Of all my books I love most The People of the Abyss. No other book of mine took so much of my young heart and tears as that study of the economic degradation of the poor." (37) However, he made it clear to Anna Strunsky: "Henceforth, I shall dream romances for other people, and transmute them into bread and butter." London remained active in politics and was a member of the American Socialist Party. In 1905 he joined with Upton Sinclair to form the Intercollegiate Socialist Society. Other members included Norman Thomas, Clarence Darrow, Florence Kelley, Anna Strunsky, Randolph Bourne, Bertram D. Wolfe, Jay Lovestone, Rose Pastor Stokes and J.G. Phelps Stokes. Its stated purpose was to "throw light on the world-wide movement of industrial democracy known as socialism." 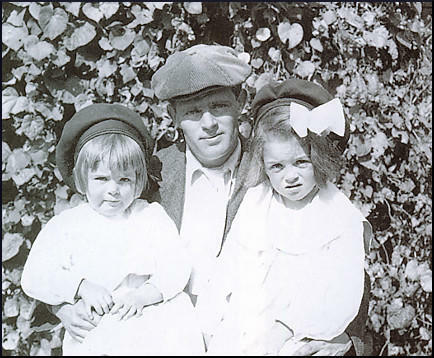 Jack London and his two daughters, Bess and Joan. London, was disappointed by the failure of the socialist movement to prevent the First World War that began in 1914. However, unlike most members of the American Socialist Party, London did not favour the United States remaining neutral. London, who was proud of his English heritage, was a strong supporter of the Allies against the Central Powers. In September 1914 London agreed to write a propaganda article for a book being published in protest against the German invasion of Belgium. London's anti-German feelings were revealled in his comments to his wife that: "Germany has no honour, no chivalry, no mercy. Germany is a bad sportsman. German's fight like wolves in a pack, and without initiative of resource if compelled to fight singly." London received support from Upton Sinclair and William English Walling, but felt isolated by his opinions on the war. He was also angry about how some fellow socialists had attacked him for spending so much money on his ranch. In March, 1916, London resigned from the party claiming that the reason was its "lack of fire and fight". Floyd Dell complained that London had lost his faith in socialism: "A few years earlier, sent to Mexico as a correspondent, he came back singing the tunes that had been taught him by the American oil-men who were engaged in looting Mexico; he preached Nordic supremacy, and the manifest destiny of the American exploiters. He had, apparently, lost faith in the revolution in which he had once believed." In October 1916 London urged Theodore Roosevelt to run for president against Woodrow Wilson. However, he told the New York World that although he supported Roosevelt "nobody in this fat land will vote (for him) because he exalts honour and manhood over the cowardice and peace-lovingness of the worshipers of fat." Floyd Dell later recalled: "His death, as a tired cynic, to whom life no longer was worth living - according to the accounts of his friends - was a miserable anti-climax. But he died too early. If he had lived a little longer, he would have seen the Russian Revolution. Life would have had some meaning for him again. He would have had something in his own vein to write about. And he might have died with honor." Day before yesterday Mrs Chaney, wife of "Professor" W.H. Chaney, the astrologer, attempted suicide by taking laudanum. Failing in the effort she yesterday shot herself with a pistol in the forehead. The ball glanced off, inflicting only a flesh wound, and friends interfered before she could accomplish her suicidal purpose. The last marriage took place about a year ago. Mrs Chaney, formerly Miss Flora Wellman, is a native of Ohio. She came to this coast about the time the Professor took the journey overland through the romantic sagebrush, and for a while supported herself by teaching music. It is hard to see what attracted her toward this man, to whom she was united after a short acquaintance. The union seems to have been the result of a mania like, and yet unlike, that which drew Desdemona toward the sooty Moor. She says that about three weeks ago she discovered, with a natural feeling of maternal pleasure, that she was enceinte. She told her husband, and asked to be relieved for two or three months of the care of the children by means of which she had been contributing to their material support. He refused to accede to the request and some angry words followed. Then he told her she had better destroy her unborn babe. This she indignantly declined to do, and on last Thursday morning he said to her, "Flora, I want you to pack up and leave this house." She replied, "I have no money and nowhere to go." He said, "Neither have I any to give you." A woman in the house offered her $25 but she flung it from her in a burst of anguish, saying, "What do I care for this? It will be no use to me without my husband's love." This show of sincere affection had no effect on the flinty-headed calculator of other people's nativities. He told the poor woman that he had sold the furnishings (for which she had helped to pay) and it was useless to think of her remaining there any longer. He then left her, and shortly afterwards she made her first attempt at suicide, following it by the effort to kill herself with a pistol on the following morning, as already stated. Failing in both endeavours, Mrs Chaney was removed in a half-insane condition from Dr Ruttley's on Mission Street to the house of a friend, where she still remains, somewhat pacified and in a mental condition indicating that she will not again attempt self-destruction. The story given here is the lady's own, as filtered through her near associates. The Chronicle published that I turned her out of doors because she would not submit to an abortion. This was copied and sent broadcast over the country. My sisters in Maine read it and two of them became my enemies. One died believing I was in the wrong. All others of my kindred, except one sister in Portland, Oregon, are still my enemies and denounce me as a disgrace to them. I published a pamphlet at the time containing a report from a detective given me by the Chief of Police, showing that many of the slanders against me were false, but neither the Chronicle nor any of the papers that defamed me would correct the false statement. Then I gave up defending myself, and for years life was a burden. But reaction finally came, and now I have a few friends who think me respectable. I am past seventy-six, and quite poor. Jack London, who is known as the boy socialist of Oakland, is holding forth nightly to the crowds that throng City Hall Park. There are other speakers in plenty, but London always gets the biggest crowd and the most respectful attention... The young man is a pleasant speaker, more earnest than eloquent, and while he is a broad socialist in every way, he is not an anarchist. He says on the subject when asked for his definition of socialism, "It is an all-embracing term - communists, nationalists, collectionists, idealists, utopians... are all socialists, but it cannot be said that socialism is any of these - it is all." Any man, in the opinion of London, is a socialist who strives for a better form of government than the one he is living under. All of which goes to show that people are prone to misunderstand me. May I have the privilege of not so classing you? Nay, I did not walk down the street after Hamilton - I ran. And I had a heavy overcoat, and I was very warm and breathless. The emotional man in me had his will, and I was ridiculous. I shall be over Saturday night. If you draw back upon yourself, what have I left ? Take me this way : a stray guest, a bird of passage, splashing with salt-rimed wings through a brief moment of your life - a rude and blundering bird, used to large airs and great spaces, unaccustomed to the amenities of confined existence. An unwelcome visitor, to be tolerated only because of the sacred law of food and blanket. Regarding box... please remember that I have disclosed myself in my nakedness - all those vain efforts and passionate strivings are so many weaknesses of mine which I put into your possession. Why, the grammar is often frightful, and always bad, while artistically, the whole boxful is atrocious. Now don't say I am piling it on. If I did not realize and condemn those faults I would be unable to try to do better. But - why, I think in sending that box to you I did the bravest thing I ever did in my life. Say, do you know I am getting nervous and soft as a woman. I've got to get out again and stretch my wings or I shall become a worthless wreck. I am getting timid, do you hear? Timid! It must stop. Enclosed letter I received to-day, and it brought a contrast to me of my then 'unfailing nerve' and my present nervousness and timidity. Return it, as I suppose I shall have to answer it some day. Jack London is announced as a candidate for Mayor of Oakland... I don't know what a socialist is, but if it is anything like some of Jack London's stories, it must be something awful. I understand that as soon as Jack London is elected Mayor of Oakland by the Social Democrats the name of the place will be changed. The Social Democrats, however, have not yet decided whether they will call it London or Jacktown. In the autumn 1901 mayoral elections, Jack received just 246 votes (the victor, John L. Davie, a wealthy populist, received 2,548). But he did succeed in his objective - to bring the principles of socialism to a wider audience through his exposure in the local press. I should like to have socialism.... yet I know that socialism is not the very next step; I know that capitalism must live its life first, that the world must be exploited to the utmost first; that first must intervene a struggle for life among the nations, severer, more widespread than before. I should much prefer to wake tomorrow in a smoothly-running socialist state but I know I shall not; I know it cannot come that way. I know that the child must go through the child's sickness before it becomes a man. So, always remember that I speak of things that are; not of things that should be. Behold! I have moved! Therefore my long silence. I have been very busy. Also, I went to see a man hanged yesterday. It was one of the most scientific things I have ever seen. From the time he came through the door which leads from the death-chamber to the gallows-room, to the time he was dangling at the end of the rope, but twenty-one seconds elapsed. And in those twenty-one seconds all the following things occurred: He walked from the door to the gallows, ascended a flight of thirteen stairs to the top of the gallows, walked across the top of the gallows to the trap, took his position upon the trap, his legs were strapped, the noose slipped over his head and drawn tight and the knot adjusted, the black cap pulled down over face, the trap sprung, his neck broken, and the spinal cord severed - all in twenty-one seconds, so simple a thing is life and so easy it is to kill a man. Lord, what a stack of hack I'm-turning out! Five mouths and ten feet, and sometimes more, so one hustles. I wonder if ever I'll get clear of debt. Am beautifully located in new house. We have a big living room, every inch of it, floor and ceiling, finished in redwood. We could put the floor space of almost four cottages (of the size of the one you can remember) into this one living room alone... We also have the cutest, snuggest little cottage right on the same ground with us, in which live my mother and my nephew... A most famous porch, broad and long and cool, a big clump of magnificent pines, flowers and flowers and flowers galore... our view commands all of San Francisco Bay for a sweep of thirty or forty miles, and all the opposing shores such as San Francisco, Marin County and Mount Tamalpais (to say nothing of the Golden Gate and the Pacific Ocean) - and all for $35.00 per month. How often I think of you, over there on the other side of the world! I have heard of God's country, but this country is the country God has forgotten he forget. I've read of misery, and seen a bit; but this beats anything I could even have imagined. Actually, I have seen things and looked the second time in order to convince myself that it really is so. This I know, the stuff I'm turning out will have to be expurgated or it will never see magazine publication... You will read some of my feeble efforts to describe it some day. I have my book over one-quarter done and am bowling along in a rush to finish it and get out of here. I think I should die if I had to live two years in the East End of London. (10) In September 1905 Upton Sinclair joined with Jack London to form the Intercollegiate Socialist Society. Sinclair later wrote about their first meeting. I was prepared to give my hero the admiration of a slave. But we spent the next day together and all that day the hero smoked cigarettes and drank. He was the red-blood, and I the mollycoddle, and he must have fun with me. 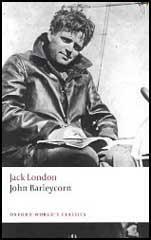 When I was in San Francisco I re-read Jack London's Martin Eden, and was struck by his description of the frightful gloom into which his hero's literary success had plunged him - a gloom which ended in suicide in the story. The account must have been fairly autobiographical. 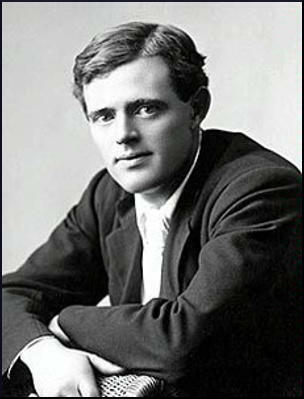 Jack London, then had been depressed by his literary success, so hard fought for; but he had explained it on rational grounds, as a bitter realization of the hollowness of achievement in bourgeoise society. (12) The autobiographical novel about alcoholism, John Barleycorn, was used by the Women's Christian Temperance Union, to promote their campaign. Upton Sinclair later remarked on the irony of the situation. I am resigning from the Socialist Party, because of its lack of fire and fight, and its loss of emphasis upon the class struggle. I was originally a member of the old revolutionary up-on-its-hind legs, a fighting, Socialist Labor Party. Trained in the class struggle, as taught and practised by the Socialist Labor Party, my own highest judgment concurring, I believed that the working class, by fighting, by fusing, by never making terms with the enemy, could emancipate itself. Since the whole trend of Socialism in the United States during recent years has been one of peaceableness and compromise, I find that my mind refuses further sanction of my remaining a party member. Hence, my resignation. I daresay Jack London's finish was due to his chronic alcoholism in youth. He was a fearful drinker for years and ran on hard liquor. I have often argued that he was one of the few American authors who really knew how to write. The difficulty with him was that he was an ignorant and credulous man. His lack of culture caused him to embrace all sorts of socialistic bosh, and whenever he put it into his stories, he ruined them. But when he set out to tell a simple tale, he always told it superbly. 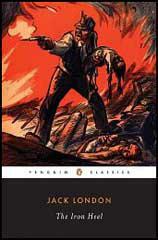 My boyhood's Socialist hero, Jack London, had died in 1916, no hero any longer in my eyes. A few years earlier, sent to Mexico as a correspondent, he came back singing the tunes that had been taught him by the American oil-men who were engaged in looting Mexico; he preached Nordic supremacy, and the manifest destiny of the American exploiters. He had, apparently, lost faith in the revolution in which he had once believed. His death, as a tired cynic, to whom life no longer was worth living - according to the accounts of his friends - was a miserable anti-climax. But he died too early. If he had lived a little longer, he would have seen the Russian Revolution. Life would have had some meaning for him again. He would have had something in his own vein to write about. And he might have died with honor. As it was, the ending which seemed to belong rightfully to his life came to another life, that of a young man who was in many ways like Jack London - Jack Reed. Our Jack is dead! He who arose from us and voiced our wrongs; who sang our hopes, and bade us stand alone, not compromise, nor pause; who bade us dare reach out and take the world in our strong hands. Comrade! Friend! Who let the sunshine in upon dark places. Great ones may not understand, nor grant you now the measure of your achievements; but, in the days to come, all men shall see. (38) Anna Strunsky, unpublished manuscript written in about 1915. (42) Anna Strunsky, unpublished manuscript written in about 1915.